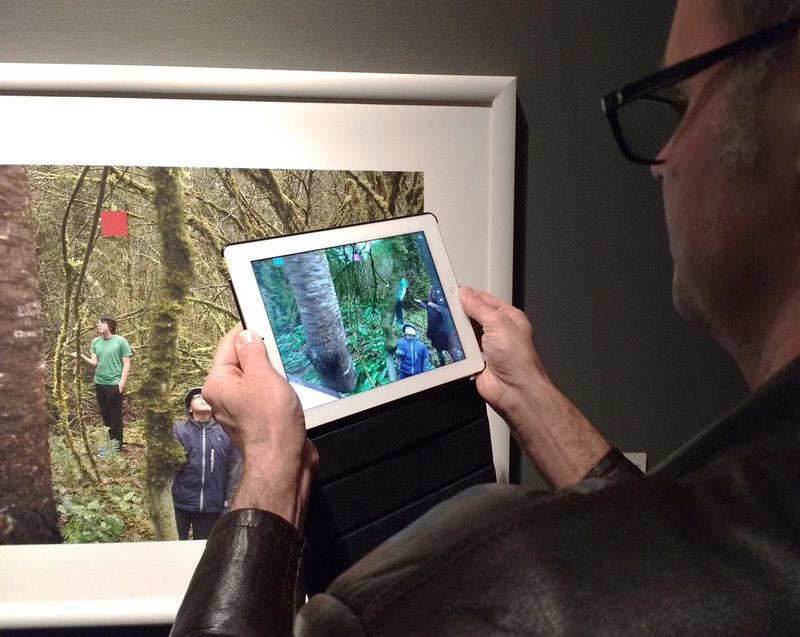 Using augmented reality technology, Paulo Majano’s project I Was Here tells the stories of local people and places in areas south of Vancouver in 3D scenes that invite viewers to interact with these locations and explore them virtually. 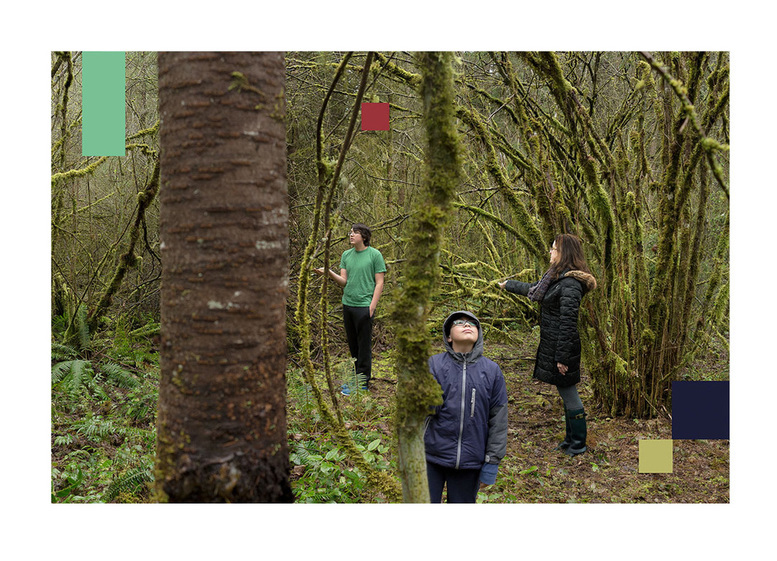 The images are a meditation on people’s longing for connection with others and the environment around them. 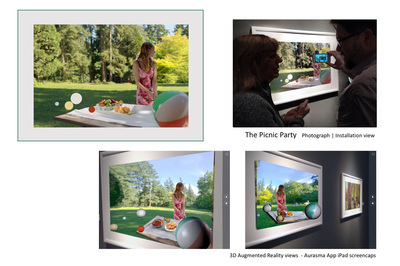 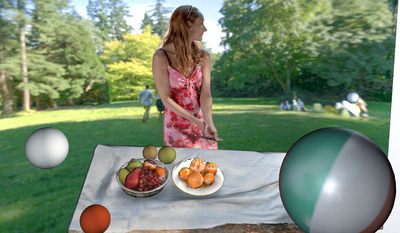 Moments of everyday life in unique local outdoor spaces are captured in 3D scans, photos, and video, and presented as photographs that contain a latent image – an interactive three-dimensional vignette that allows viewers to see the scene from different viewpoints. 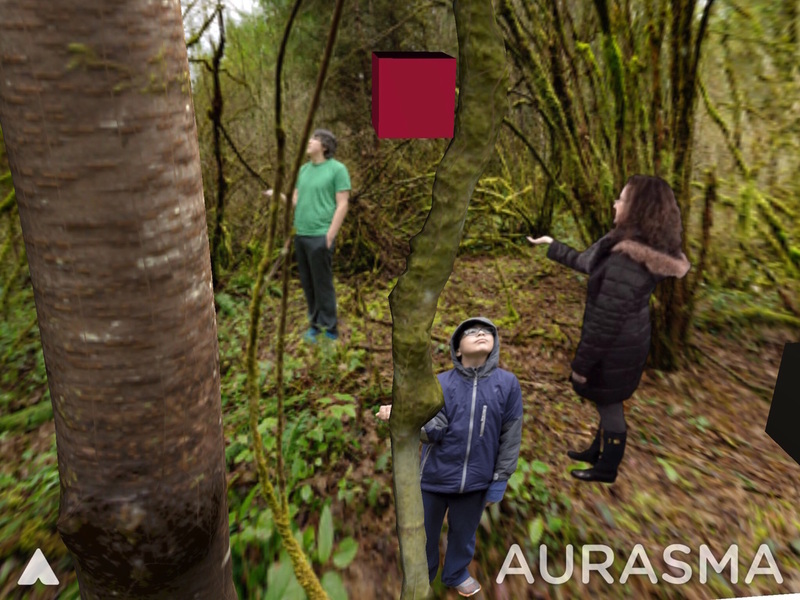 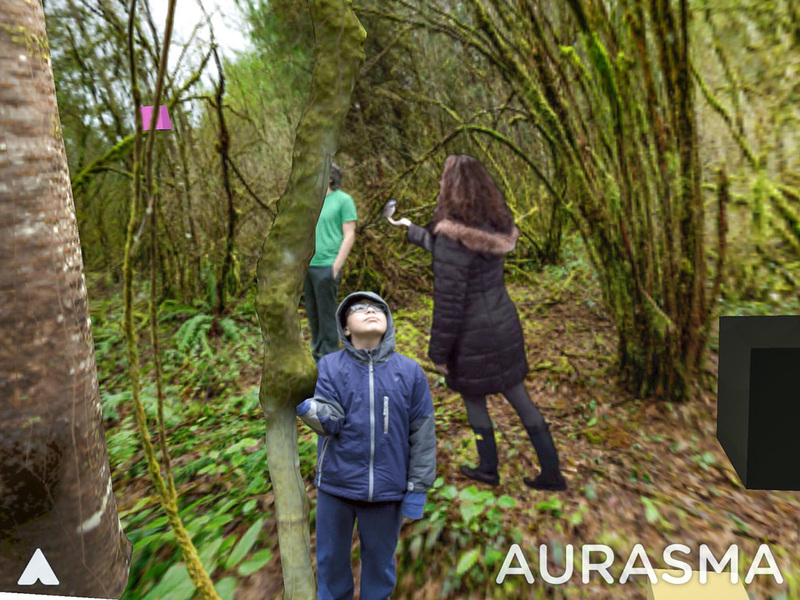 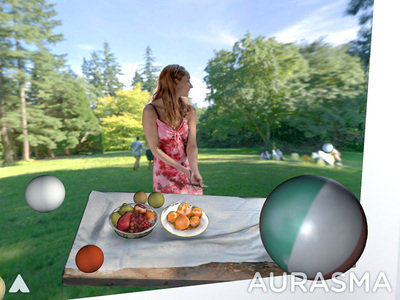 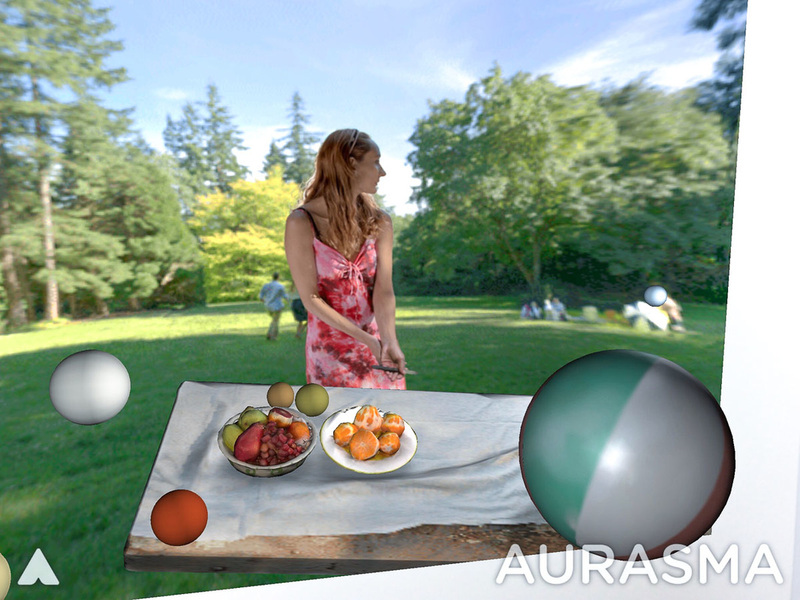 When viewed with a smartphone or tablet using the Aurasma augmented reality App, each photograph reveals a 3D scene where viewers can reframe the composition from a new point of view, move in for a closer look, and look behind objects to reveal elements and people not visible in the original photo. 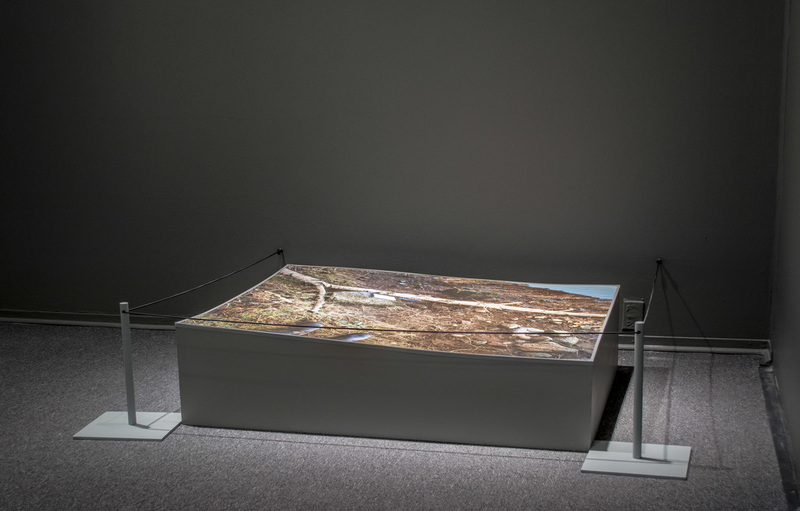 In these works, the viewer becomes an active participant discovering more of the story than originally visible, and revealing potentially new narratives and other layers of meaning. The exhibition includes photographs with augmented reality interactivity, and one large floor work created by 3d scanning a 3x4 meter area of the river shore. 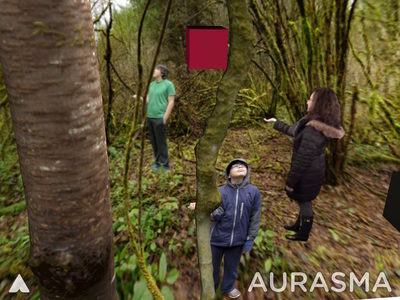 Viewers can experience the sights and sounds of this location in an immersive augmented reality, video, and sound work, by walking around it 360 degrees. 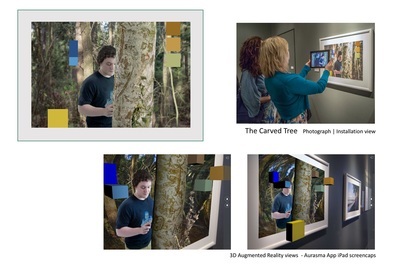 Augmented Reality is a technology that allows the overlay of digital content such as 3D graphics, images, sound, or video, over views of the world in real time. I use AR for mobile devices to see 3D content or video with smartphones or tablets running the Augmented Reality HP REVEAL App. 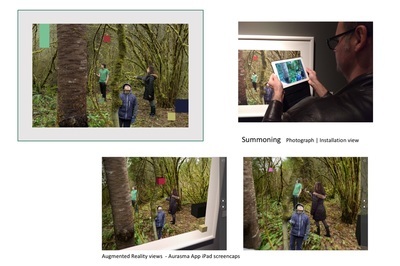 summoning-Augmented Reality Video from filmnoiseVimeo on Vimeo. 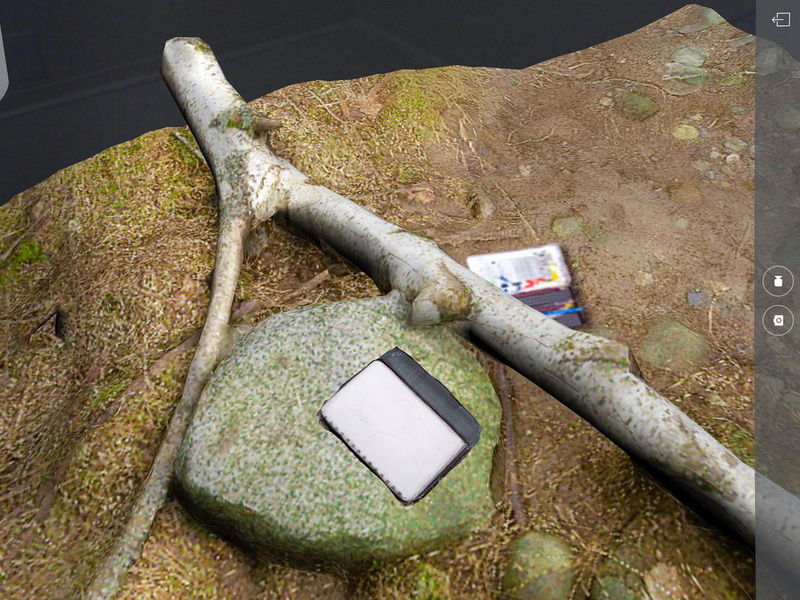 Photography Installation with 3D scanning, video and sound 3D scene overlay using HP REVEAL App 46"x36"x12"
Using 3D scanning, video, and sound, the installation The River Edge invites viewers to virtually explore the Nicomekl River shore in South Surrey, BC . 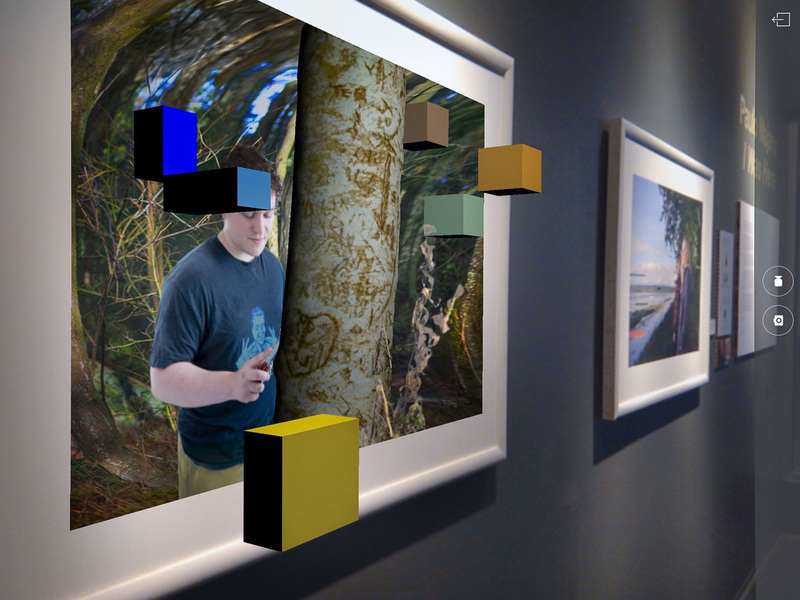 As you view the photograph through your smartphone or iPad, you enter the space and join me to walk around the scene and experience the sights and sounds of this contemplative space in three dimensions. 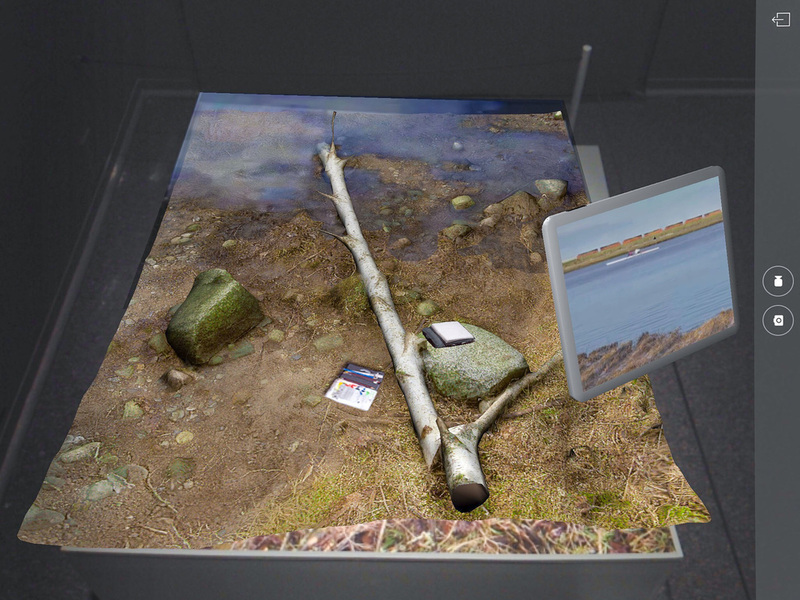 This is a place where people come to walk in a natural environment and through the virtual iPad in the scene you get a glimpse of the river and the shore on the other side where kayaks go by as the train, an ubiquitous sight of industry in this area, passes by in the distance. 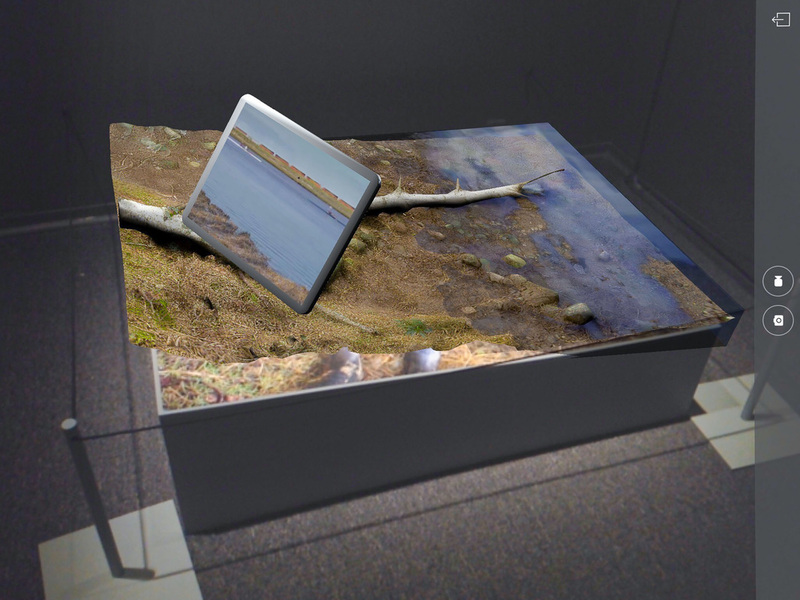 The River Edge-AR Installation from filmnoiseVimeo on Vimeo.